Last spring I was lucky enough to see an exhibition of work by renowned local artist Byron Howard, curated by Andrea Bretherton at BrevonArt, Doncaster. Entitled ‘The Figure in Dance and His Other Damn Stuff’, it was something of a mini-retrospective for Byron, focussing on pieces from the 70s. Byron is a sculptor. Now, when I say ‘sculptor’, I don’t mean someone who knocks together two bits of wood with an artfully placed traffic cone, I mean a sculptor. Think Donatello, think Epstein: Byron is the real deal. 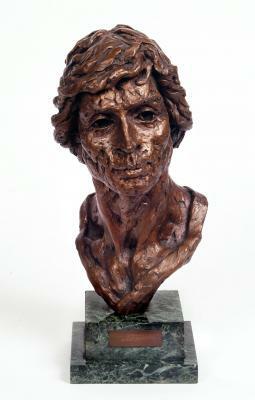 Bust of Nureyev, ht. 340mm approx. 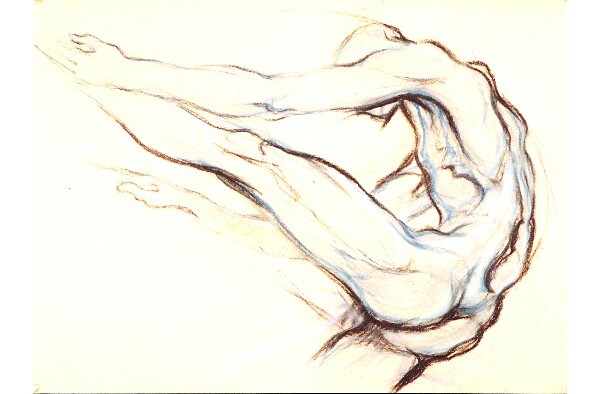 This is evident in his superb life drawings. There is something about a good sculptor’s drawings that tells you immediately that this person’s ‘proper’ work is in three dimensions. I can’t quite put my finger on what that quality is; perhaps it’s the boldness of the line, or the confident use of the space; I don’t know, but it was here in abundance, that ‘thing’ that comes, not of seeing, but of looking ‘around’ the subject and understanding. There were, as I recall, four large female nudes: big girls, it’s fair to say, drawn with a sensitivity and sensuality that is above all celebratory. Byron likes women. The smaller drawings were mainly studies for sculptures, concerned with capturing the movement, the gestures and attitudes of the dancing form. As a result, some were more ‘finished’ than others, but all were brimming with vitality. Then there were the stars of the show: the bronzes. Ah, the bronzes. 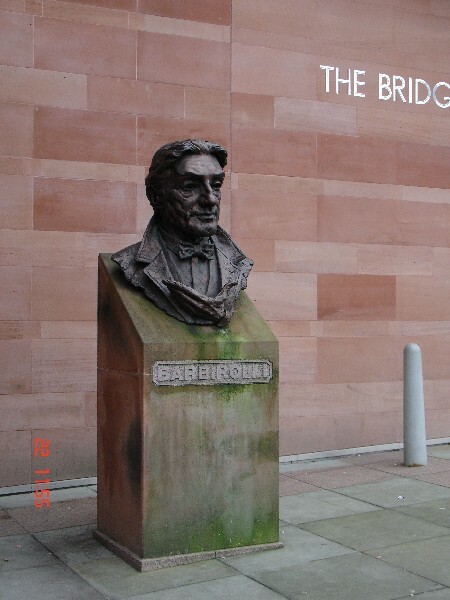 There was a small head of Sir John Barbirolli, the monumental version of which stands on permanent display at Manchester’s Bridgewater Hall; but more moving, to my mind, was a small sculpture of the great conductor’s hands: delicate, graceful, yet imbued with palpable strength. Nureyev as ‘Lucifer’, ht. 500mm approx. 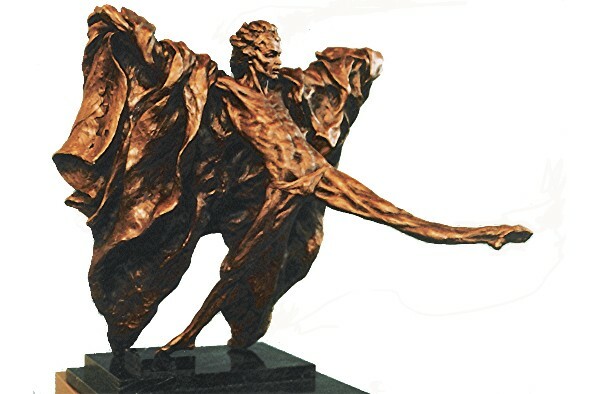 The stand-out pieces for me, however, were ‘Lucifer’ and ‘Dance Movement’: the skin seems to have been stripped away and every muscle and sinew revealed, so you are made acutely aware of the sheer physicality and effort of dance, of the stress and tension inflicted on the body in the pursuit of beauty. Magnificent stuff, and a real treat for those in Doncaster serious enough about art to get off their backsides and go see it. ‘Dance Movement’, ht. 450mm approx. 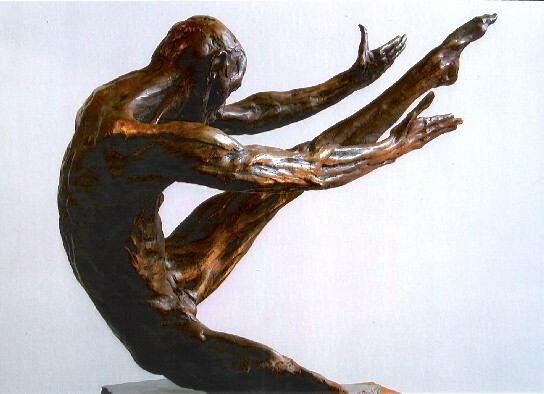 This entry was posted in art, sculpture and tagged art, sculpture by Glennie Bee. Bookmark the permalink. Fine blog, fine artist. The drawings are very sculptural.